Offering wonderful insights into how to use our relationship with God in practical ways that make a difference in our daily lives, this program also recounts Walsch's personal experiences as they relate to the original Conversations with God trilogy. Suppose you could ask God the most puzzling questions about existence, and God would provide clear, understandable answers? It happened to Neale Donald Walsch. 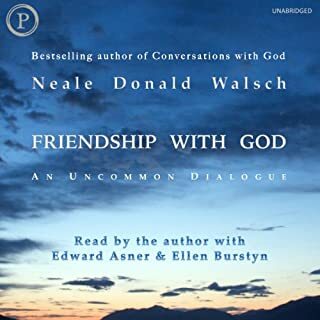 Conversations with God is Walsch's account of his direct conversations with God, beginning in 1992 while Walsch was immersed in a period of deep depression. He composed a letter to God in which he vented his frustrations, and much to his surprise, even shock, God answered him. 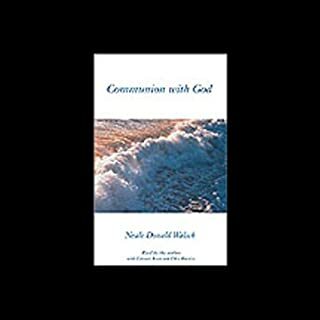 Conversations with God, Book 3 is the final book of the original three-book series. As was written in the introduction to Book 1, it deals with “universal truths to the highest order, and the challenges and opportunities of the soul.” In Book 3, the dialogue expands to include more about the nature of God, about love and fear, about who we are and who we may become, and about the evolution of the human species that is about to take its place in the universal neighborhood. very good. to listen later again.recomend all 3. 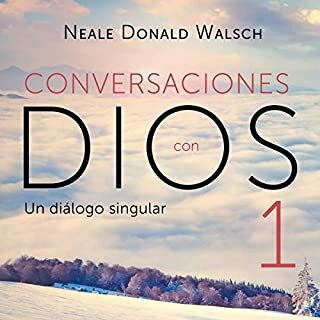 Primera parte de la exitosa trilogía Conversaciones con Dios de Neal Donald Walsch. Sencilla, clara y esperanzadora, Conversaciones con Dios I es una obra que tiene vocación de dejar huella. Esperando libros 2 y 3!!!! Please Complete books! First there was a conversation. It developed into a friendship. And now we stand on the threshold of spiritual oneness...of Communion with God. 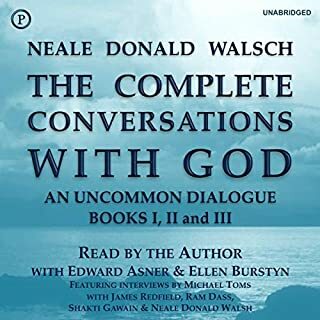 Neale Donald Walsch, along with Edward Asner and Ellen Burstyn, reads the latest in the life-altering series that began with Conversations with God. Finally, a way to make sense of it all! Here, not a moment too soon, is a genuine reason not to be afraid of our Tomorrows. The author of seven New York Times best sellers in the world-captivating Conversations with God series, Neale Donald Walsch offers us a striking explanation for the upheaval we are seeing all over our planet right now, then proposes a simple plan by which we can impact both our personal and collective future in an extraordinarily positive way. Here, at last, is something we can do — and do easily — to help our world. Skip the first 1 1/2 hour. After that fantastic! Suppose you could ask God the most puzzling questions about existence, and God would provide clear, understandable answers? It happened to Neale Donald Walsch. Conversations with God is Neale Donald Walsch's account of his direct conversations with God, beginning in 1992 while Walsch was immersed in a period of deep depression. He composed a letter to God in which he vented his frustrations, and much to his surprise, even shock, God answered him. Focusing on the universal truths that influence all life, Conversations with God offers a picture of the could be better. Conversations with God challenges us to push past the imagined boundaries of what we believe ourselves capable and look instead to all that we can attain as co-creators with God. Bought the book 10 years ago and never took the time to read it. Bought the cds from Borders and it changed my life, but it is pain to convert the cds to mp3. Now I can enjoy this timeless book in the comfort of my iphone. Life is good!!! If you could sum up Conversations with God, Book 1 in three words, what would they be? The confirmation you've been waiting for! When someone else states something you have always known to be true... and many others of reputation and authority also agree ... courage to be confident in what you know for yourself is easier and easier. The entire trilogy is stunningly provocative, enlightening, fun, and validating in every way. THE AUDIO VERSIONS ARE EASIER TO DIGEST THAN THE READING OF THE BOOKS. I am listening to book 1 for the 3rd time; have listened to book 2 3 times and book 3 is in progress as a study group for the 5th time. One should not take these books as the be all and end all. This is Neal Donald Walsh's understanding. It seems to strike notes with everyone and we are all being triggered to understand the Voice of Truth within us. Don't worry about the messenger ... Neal is a human just like us - nothing special ... and that is one of the major Truths in the dialog, in all esoteric teachings through time. Listen to the message - not the messenger. Then follow your understanding; your inner voice. The same voice that Donald (and Jesus and Krishna and Buddha and Babaji and Joseph) heard is in you too! Listen. LIsten to these books many times and think about them. Journal about your reactions and feelings about the content. Listen again and again and allow your grip on your programmed perspective to loosen so your actual perspective and ability to be conscious of it can grow, change, fall away, be enhanced, be replaced, be strengthened. I could absolutely relate to the author and his conversation with God. He was asking questions that I've had for years. What surprised me was the answers God was providing. And the reason it surprised me, was because I understood what God was trying to say, and I resonated with the answers whole heartedly. I enjoyed that the voice of God flipped between male and female, which (to me) confirmed his belief that God envelopes both male and female aspects. And that God shouldn't be classified as male or female, but that God envelopes ALL that is and isn't. So before listening to the audiobook, be open minded. Some of the answers may make you uncomfortable, but if you listen to the explanations, hopefully it will all make sense. Many topics are covered that will make you think. I enjoyed listening to this. A "must listen" for the spiritual seeker. What made the experience of listening to Conversations with God, Book 1 the most enjoyable? The overall message, the depth in which issues were tackled, and the performances by all involved got the book across in a way that conventional reading may not have, as I'm a slow reader in this way. ti tackled universal themes in a way that resonated with me, even challenged me at times. Not until this book, and I listened to the other "books" in the series. This one was the gateway drug, as it were, to my immersing into the others. A new way to go home. If you're like me, this book will resonate in a way that feeds on the things that I knew instinctively, yet never knew how to put into words until now. Be open to surprise, especially if reading with lifelong religious and spiritual beliefs that may run counter to what's being said. It's brought clarity to my world. As someone who grew up going to church most weekends, yet currently consider myself agnostic, this book described a God unlike any description I have heard before. While a bit unusual, I find the possibility of such a God to be more logical, believable, and understandable than the description I have heard in the standard christian churches today. From a philosophical perspective, this book proposed ideas and a mindset which promotes greater happiness in my life. I am glad I listened to it, however I think the lengthy interviews added to the end of the audiobook were a waste of time. What was one of the most memorable moments of Conversations with God, Book 1? When the author explains that you will lack something by asking for it, because by asking for something you are actually acknowledging that you don't have it. Initially, I found the voice of God so stereotypical that I wanted to laugh. When I listened some more I found the narrators voices deep and rich. I have read all of the Conversations with God books and now enjoy listening to them. It is a very special way of going through a book and I find there are things that I missed when I first read it. I think this is the type of book that will always bring new insights. Listened to with an open mind, this audio is almost certain to provide some pretty significant insights for introspection. One need not even accept that the conversation is actually with God in order to receive gems of wisdom which can be useful both practically and spiritually for improving self. Parts may be hard to listen to and accept if the listener is more sectarian. I found the content and performance to be excellent, though there were times if my attention wandered, even the slightest, I'd need a rewind to grasp some of the more esoteric discussion. If you are open to new concepts in Religion this is quite interesting. If you are a die hard bible thumper-don't bother. This will be blastphemy to you. I found it to be great listening and something to think about. Some areas make a lot of sense. beautiful words. a must read for any one who wants to hear Gods answers to conflicts of the mind. I found this book life changing. It makes you really look at everything you do. Fantastic! This is one of those books that was recommended to me years ago and it was always in the back of my mind to read but never quite got there...until now! This book is amazing, it will make you question everything you were raised to believe about life, God, the world and universe that surrounds you! It really is fantastic. So uplifting to realise that maybe when bad things happen God is not out to get you and there is always a way to make it better. I have continued on to devour the rest of the series and I highly recommend this title to everyone! There is not one person in this world that could not learn a thing or two from this book. Also the narrators are great, the author narrates his own part and there is a male and female God which are both perfect. I loved it and I will listen to it again and again. The sense, integrity and truth emanates from every page. Book 1, as with the other two books, is a book that speaks, promotes and endorses unconditional love in a world full of human made conditions. For many years I was a child of a lesser god, but after reading the conversations trilogy, I have been able to dispel the outdated prejudices, bigotry and hatred (the fears) of ancient rhetoric from my life. I find it hard to express how much happier, content and fulfilled I feel since I have adopted the teaching from these books. They have answered all my questions about life and the universe and our relationship to everything including our purpose for existing. My vision about everything has changed dramatically for the better. Some people may disbelieve that these books are a true conversation with God. But even if they are only the religious concepts and philosophical thoughts of a human mind expressed on paper, then they are wonderful thoughts with as much backbone as you could wish to experience. I do recommend that you start with book 1 and listen your way through them objectively. When I first listened to them I felt overwhelmed. It?s not easy to let go of the negative religious indoctrinations that have been brainwashed into us over the decades of our life. In fact, letting go of some parts has been painful, but if you are yearning for a spiritual awakening, then you need look no further. it was just awesome !! What was one of the most memorable moments of Conversations with God: An Uncommon Dialogue, Book 1? All characters were performed well but the fact that Neal narrated as himself made it more personal. Yes, it changed my belief system and removed a lot of negative thought patterns. 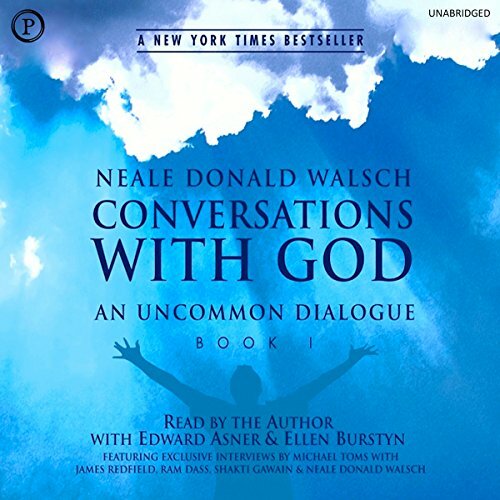 What made the experience of listening to Conversations with God: An Uncommon Dialogue, Book 1 the most enjoyable? The honesty of the presentation and the simple yet profound messages delivered in this book make it a heart warming and life changing experience. I have been searching for many years for answers to difficult and important questions, and this whole content blows me away !! The fact it resonates with me so much on so many levels. I was in the middle of reading this book and decided to get the audio book as it was more convenient to have with me in work. I have found however hearing the authors voice and emotion has brought this even more to life. Its impossible to pin point as there are so many and these moments will differ with each person. Thanks so much for making this available !!! Very engaging from start to finish. Lots of questions I have always had were answered. Feel very inspired and comforted by this. Looking forward to listening to the other books. I will be recommending to others. The narrative of how this book came about, the inner scepticism which was overcome and the common sense to how God and the universe works made this most enjoyeable. In order take on board all the ideas in this book I needed to split the listening into chapters and relisten to some of them. Go for this book and don't bother about Vol. 2 it's basically the same as this book but shorter. This is the best Spiritual Book I have ever read. And I have read a lot of Spiritual books. This book has spoken to me like no other. It even tops my Favourite and most influential book that made a big impact on my life and my way of thinking. The Wisdom of Florence Ssovel Shinn which the first book in it was The Game of Life nad how to play it. Conversations with God has answered many of my questions and confirmed many of my personal beliefs. For me it was a exhilarating read. For me it all felt true. I love, love the way this Audiobook was set out, the three narrators which one was the Author did a brillant job. This really is a conversation, the Author asks the questions and one of the two aspects of God answers. Mother, Father God! If you have always questioned what your religion told you. Then this book is for you! If you are a stout Christian, this book proberly isn't, You need an open mind and heart when you listen to this book! We all follow our own truth and path in this life! I know some people would get really upset over this book, especially someone really religious. But if you have questioned, try it! If you don't like it, if what this book is saying doesn't feel true to you and you are a Audible member they will give you your money back! This book looks at God and life in ways most of us have never dreamed of! I enjoyed listening to this book a couple of times but couldn't get into the others. This was such a revelation to say the least. My mind has been opened to such beauty. Excellent listening and a wealth of ideas and reflective thoughts. it is deep and serious yet light and entertaining. Excellent format and enactment of the material. highly recommended. My feelings are confirmed. I'm not the only one. 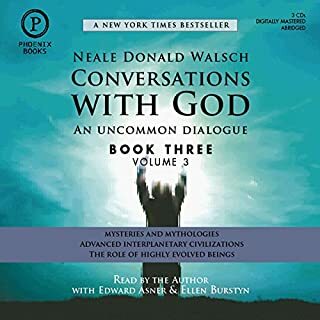 If you could sum up Conversations with God: An Uncommon Dialogue, Book 1 in three words, what would they be? Courageously narrated perspective of GOD! Being touched by the confirmation of my inner knowing, truth and the feelings I had since the beginning of my life. I loved how the book was conducted in a natural, conversational way. We mostly assume God to be male. I really enjoyed it being portrayed, narrated by male and female voices. Coming home! The truth about divine GOD! I applaud the author and congratulate him for his courage and willingness to look "foolish" by writing and narrating this book.There are very sensitive topics in this book, which most people are not willing to face. It challenges the dogmatic way of thinking especially in the organised religion and rigid "Right" and "Wrong" ways of life. It has given me peace of mind and a confirmation of what I already knew (as a knowing) in my soul, being. A real home coming. Alarm bells sounded when the book mentioned that the written word (the Bible) should not be relied on more than what you "think" you hear God tell you. IMO the Bible is how you can tell that what you heart is not distorted by your own opinion. God's "voice" should align with the Bible or you have misheard!